Some stigmas are hard to overcome. For example, few people today remember OJ Simpson as a Hall of Fame running back. Instead, they associate him with the murder of his wife. No matter how many years pass or what he does, Simpson can’t seem to shake his association with the so-called “trial of the century.” That’s a pretty tough thing to live with, especially when you’re still trying to make a living. A major part of the bad reputation the Sega CD gets stems from its large library of full-motion video games (henceforth referred to as FMV). For almost three years, FMV was considered by many in the industry to be the future of gaming. Those advocating the level of visual detail available in the genre drowned out those who decried the lack of interactivity, and Sega embraced FMV wholeheartedly. It realized its mistake far too late in the system’ life span to rectify the situation, and the Sega CD was quietly put down in 1995 so that the company could focus its efforts on the 32-bit Saturn. Even as the Sega CD faded into history and the new generation of consoles made little room for FMV games, one company still held fast to the belief that the genre was the direction gaming should take. 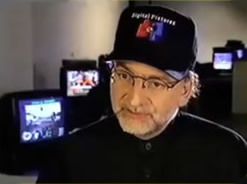 Digital Pictures, the leader in FMV gaming, refused to give up the ghost, and company head Tom Zito defended his company’s wares in the media viciously, taking stabs at industry leaders like Electronic Arts and Nintendo when its games were compared to theirs. Ultimately, gaming shifted towards a little thing called 3D, and FMV was left far behind. How could Zito have been so adamant about something so many people knew wouldn’t take off? Why would he bet the farm on it, even as 3D exploded onto the scene and drew developers to creating living, breathing worlds? And how did FMV become so popular to begin with? The story is one filled with great timing and even greater luck, and it all centers around the company Zito himself founded: Digital Pictures. As is the case with many creative minds in gaming, Tom Zito didn’t jump right into the business. In fact, such a thing as the “video game industry” didn’t really exist when he graduated from Georgetown University in the early ’70s and later the NYU School of Film & Television alongside a young Brian De Palma (he even took a cinematography class under Martin Scorcese). Zito’s first major job was as a rock critic for the Washington Post, where he covered such acts as the Grateful Dead, Bob Dylan, and the Rolling Stones. Four years and some damaged hearing later, he became the general assignments editor for the paper, while still writing freelance for Rolling Stone magazine and the New Yorker. It was this last periodical that would offer Zito the chance to break out of his writing and join a growing business that had yet to offer its fans a true level of realism – video games. 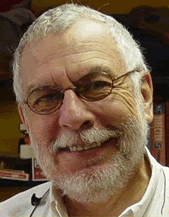 When Zito was tasked with interviewing Atari founder and Chuck E. Cheese’s head Nolan Bushnell, he struck up a friendship with the man that resulted in his relocating to California to take a job at Axlon, a company under the umbrella of Bushnell’s Catalyst Technologies Venture Capital Group. His first assignment was to take charge of Axlon’s big product for Christmas, a story-telling teddy bear that eventually lost out to Worlds of Wonder’s Teddy Ruxpin. With financing as the principal problem of getting the machine to market, Axlon had to find some serious backing. Zito approached Bushnell first, who quickly turned him down. “Well, if you want to do this,” Bushnell told him, “you’re going to have to raise the seven million bucks, ’cause we don’t have it.” Zito was forced to look elsewhere, and he found his partner in toy maker Hasbro. In return for the funding, Hasbro stipulated ownership of the video game rights to the technology, now called NEMO (reportedly the internal code name for the console, meaning “NEver Mention Outside”). Despite finally having the money to bring his vision to life, Zito was faced with a big dilemma. Half a year after the agreement was reached, the project was moving too slowly for Hasbro, and it demanded that work be sped up, despite the engineering problems that kept things bogged down. After much back and forth between Zito and Hasbro, he was presented with a choice: stick with Hasbro and its money, and do things its way, or continue at his current pace and lose his financial backing. Zito sided with Hasbro, which strained his friendship with Bushnell. He left Axlon and formed Isix. The first hurdle overcome, Isix was soon faced with one of greater challenge. Video images take up massive storage space, and the technology of the time was simple incapable of storing the necessary data. Only two choices were available: the aforementioned process of offering programming available over a cable connection or using video cassettes to store the footage. The latter option meant looping footage from an outside source and playing it through the console that had to load it first. This was very slow and unwieldy, and it was a far cry from the quick seeking method laser disc games of the era, like Dragon’s Lair and Space Ace, used to find the necessary data. The first thing the group needed to do was convince Hasbro that its money was being well spent. Scene of the Crime, a five-minute interactive mystery, was what they came up with. According to Rob Fulop, it was what convinced Hasbro to continue funding Isix’s work. “[Director] Jim Riley and I went to see an interactive theater performance of Tamara,” he told Gamasutra, “which involved putting one hundred spectators in a mansion full of actors, and letting the spectators wander around while the story unfolded. The action took place in six different locations, so if you watched the scene of the maid and butler conspiring in the kitchen, you would miss the scene of the Master of the House arguing with his mistress in the bedroom. Tamara inspired us to develop an interactive mystery game called Scene of the Crime. The finished demo inspired Hasbro to put up the funding for the entire NEMO product.” By 1986, most of the initial problems had been resolved, and Isix produced three titles: a longer version of Scene of the Crime, Bottom of the Ninth Inning – a baseball title, and an interactive video featuring the Cars song You Might Think I’m Crazy. Though Isix had completed three titles, the total running time of all of them was less than ten minutes. Zito wanted to make a true movie, and he worked to secure the rights to the popular Nightmare on Elm Street franchise to use in his next project. The deal fell through, so an original script was penned for the movie by Terry McDonell, the editor of Esquire. It was given the name Night Trap and told the story of a slumber party under attack by “fledgling vampires.” The player was tasked with activating strategically placed traps in order to stop the vampires before they devoured the group of defenseless teenage girls, which included former Different Strokes star Dana Plato. As players scanned each room in the house, they were treated with scenes of conversations, girls in skimpy lingerie, and perhaps the worst theme song in gaming history. The traps themselves were mostly pits the vampires fell into, and the whole thing was campier than it was scary. After Night Trap was completed in 1987, Zito moved on to Sewer Shark, a game that had players streaking through underground tunnels and being constantly talked to by their co-pilot Ghost. Both Night Trap and Sewer Shark cost Isix more than four million dollars, by far the most for any games up until this time. Shortly after the completion of Sewer Shark though, Hasbro pulled the plug on the console, redubbed the Control-Vision, before its January, 1989 release, probably because of the cost of making each console (it had cost over $20 million already and would have retailed for $300, versus $100 for the NES at the time). Suddenly, Zito was left without a platform. He considered porting the two games over to laser disc, but by this time the medium had waned in popularity as far as video games were concerned. He packed them up and stored them in a warehouse in Rhode Island, where they’d remain until Sega would give them a place to shine. It’s ironic that although people automatically associate Zito’s games with the Sega CD, his first attempt at bringing his “interactive television” to consoles was with Nintendo, not Sega. In 1991, Nintendo announced its “Play Station,” which would play both SNES cartridges and Sony’s own 680 meg Super Disc. The deal had originally been drawn up in 1988, and by now plans were already being drawn up to secure content for the add-on. In addition to Trilobyte’s 7th Guest, Zito’s games were being considered, specifically Sewer Shark. Mickey Schulhof, chairman of Sony U.S.A. and Peter Gruber, head of Columbia Pictures, were so fascinated by the footage of the game they had seen that they were looking to buy the company that had created it. When Zito was informed of the visit, he hopped on a plane and went to New York. He had already purchased back the rights to both titles when the Control-Vision project died, and he was itching to finally bring them to market. Schulhof signed him as a developer for the Nintendo Playstation, and Zito formed Digital Pictures so he could begin updating both Night Trap and Sewer Shark. A year later, Nintendo shocked Sony and the world at the Consumer Electronics Show by revealing that it would instead be going with Philips N.V. for its CD add-on. As Sony was to be the sole worldwide licenser of software released on the Super Disc format, it was basically going to take away software royalties from Nintendo, and this was simply something that the House of Mario would not allow. Effectively betraying Sony, Nintendo eventually scrapped its CD plans altogether, leaving Zito once again without a place to sell his games. Fortunately for him, Sega’s own CD add-on was already well underway, and Digital Pictures became a licensee in spite of Zito’s poor opinion of the hardware. He had preferred the Playstation model due to the superior video quality it offered. “The incredible irony of it, “Zito told historian Steven Kent, “was that the video we plugged into the Super Nintendo was just terrific because Super NES could display 256 colors at once. Sega CD could only put up 32 colors at a time, so you had this horrible grainy look to the images.” Sewer Shark and Night Trap were upgraded for Sega’s new add-on at the cost of $3 million and $1.5 million, respectively. When the Sega CD hit store shelves on October 15, 1992, neither of Digital Pictures’ titles were included as pack-ins, although they were available for sale separately the following month. The second incarnation of the system included Sewer Shark, ensuring that everyone who bought it had a chance to play the game that had so enamored Schulhof and Guber. Sega hyped its CD system’s FMV capabilities fiercely, and initially the games were considered the reason why sales were good. Everything seemed to be working out. Sega had a company producing multimedia content on a regular basis for its new hardware, and Zito had finally found a format that could bring his vision to a mass market. Both titles sold around two hundred thousand units in the first six weeks after launch and Digital Pictures subsequently released several games during the year, including three in its Make My Video line of music video editing titles. Even Sega itself joined the FMV party, and it debuted games like Tomcat Alley and Mighty Morphin’ Power Rangers. Working at Digital Pictures was reportedly a much different experience than at other publishers of the era. Zito offered his employees contracts stipulating that they could be terminated only if management had a good reason. Zito called it the “just cause clause,” and this was his way of ensuring that his people stayed put. Employees were also paid more than their asking price and were even allowed to weigh in on hiring decisions. “People can assume that when they come here, unless they really screw up, they have a place as long as they work here,” Zito told the New York Times in 1992. The manner in which Zito approached making his product was decidedly ungame-like in style. Those who showed up at Digital Pictures to get a glimpse of the process were liable to think they’d stumbled upon a movie shoot instead of a video game. Zito operated in a producer category, and development of his titles echoed what you’d expect from a Hollywood feature. “If you were to come on set,” he told the New York Times, “the only thing you would find different from an ordinary movie was that we shot lots of variations in any given set-up.” Zito sought to make his games as much like major films as possible. For instance, Ground Zero Texas, Digital Pictures’ first original game for the Sega CD, was written by RoboCop screenwriter Edward Neumeier. Another title that appeared later, Corpse Killer, was directed by John Lafia, the writer of Child’s Play. Digital Pictures had secured a viable platform on which to publish its games, it had several titles in development, and its offices were fully staffed. By early 1993, the future looked bright. Soon though, another major obstacle would face the company, this time by way of the United States Senate. Night Trap Is Killing Our Kids! With all the buzz surrounding Sewer Shark, it’s odd that this was not the title in Digital Pictures’s stable that gained the most notoriety. No, that distinction goes to the other NEMO update, Night Trap. While it wasn’t the game that sparked the great video game violence debate of the early ’90s, it was figured just as prominently as the one that had, Mortal Kombat. Moreover, the two are widely regarded as the reason why the industry adopted the ratings system that while modified, is still in place today. The first major fiasco about how video games were supposedly corrupting the delicate minds of American youth was most likely the result of a chain of events that made news throughout 1993. There has been speculation that the whole thing began when Nintendo tried to halt Sega’s increasing market share by bringing congressional oversight down upon them, and others believe that it all started when the company’s director of communications gave a speech on the subject to the National Organization of Women. Others still, think that Nintendo deliberately brought footage of the violent games to Congress in order to make life difficult for Sega. Lieberman became concerned that violent games were being sold to American children, and he consulted with his constituents on the matter. When he saw that they knew little about what was going on in the games their kids played, he decided – along with fellow Democrat Herbert Kohl of Wisconsin – to convene congressional hearings to investigate the subject. Beginning on December 9, 1993, the hearings ran through a litany of testimony from different social groups and people within the industry. Nintendo’s chairman Howard Lincoln spearheaded the anti-Sega attack, singling out Night Trap as a key example of the contrast between Sega’s immoral games and his own company’s squeaky-clean image. “A game such as Night Trap will never be produced for a Nintendo system!” he thundered, conveniently forgetting to include in his argument games like Splatterhouse 2, Stormlord, and The Immortal which were much more violent and have been released on the Genesis years earlier. In fact, a NES version of The Immortal had actually preceded the Genesis one. She got that from Night Trap and video game magazines, folks. To put it in simple terms: that’s one copy of the game for every five Sega CDs sold. Even with the firestorm surrounding Night Trap, Digital Pictures continued to release games for the Sega CD. For the next two years, the video quality of its games improved, culminating in the decent Prize Fighter in 1995. Night Trap was rereleased in 1993 and made its 32X and 3DO debut a year later along with enhanced versions of Sega CD games Supreme Warrior, Slam City with Scotty Pippen, and Corpse Killer. Zito had not only managed to establish a successful company, but he had made his vision of “interactive television” front page news. By now, Digital Pictures had expanded its platform reach to PC and Mac, in addition to newer consoles like the 3DO, and the cost of developing its FMV games had increased to around $2.5 million per title. 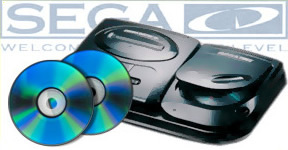 By 1995, however, both the Sega CD and 32X had been put out to pasture in favor of the powerful new Saturn, and other newer hardware had taken over the market. Sony had swept in and overtaken the industry with its red hot Playstation, and the Nintendo 64 was less than a year away. The 3DO was quietly put down, and Zito was once again left without a solid console on which to release his games. Furthermore, FMV games as a whole had not advanced in gameplay, and the genre seemed to have reached its shelf life. Neither Sony nor Sega were very eager to have FMV titles on their consoles, as the multimedia buzz had been overtaken by new forays into the third dimension. Despite the release of a few titles like the $2 million Quarterback Attack (which Hall of Famer Mike Ditka deemed was suitable for use as a professional quarterback instructional tool) late in 1995, polygons and textures were where gaming was headed, and the restrictions of video seemed like something to be left behind with cartridges. Was Zito right? Could the genre actually be made to bring about these realistic experiences he so enthusiastically proposed? That’s still up for debate, but the gaming community at large seems to have voted “no” with its dollars. Today’s games are moving farther away from FMV than ever, even omitting them from cut scenes in favor of using in-game engines. This helps to maintain atmosphere and reduces overall game size. With the exception of some Japanese titles like Lost Odyssey on the Xbox 360, most games have begun to distance themselves from using video cut scenes exclusively. 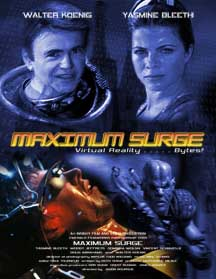 With Maximum Surge, Digital Pictures sought to expand beyond the boundaries of what a typical FMV game was thought to be. Aside from offering better video quality and faster loading, it was the first in the genre to combine video elements with computer graphics. “We’ve approached this title from the game point of view, not the movie point of view,” said producer Amanda Lathroum, “and what that means practically is that there’s a lot of playability – the player is always making decisions.” Indeed, players could move around (only up to four feet at a time) and interact with characters that were filmed in over one hundred different takes. This made it highly unlikely that the game would be played the same way twice, and it did much to enhance the feeling of interactivity that FMV games were so often criticized for lacking. Ultimately, Maximum Surge was never released. Two months before the projected release date, focus groups produced enough good suggestions that Digital Pictures delayed the game another six months to implement them all. Unfortunately, the company closed down before Maximum Surge could be sent to market, and Zito sold off the rights to another publisher. Some of its footage was eventually combined with that of other titles and released as the movie Game Over, but as a game it was dead, and with it died Zito’s dream of making FMV the wave of the future. 3D gaming exploded in the late ’90s on PC, and current consoles are capable of creating massive worlds that move and change in real time. In truth, it’s another example of the irony surrounding Tom Zito and Digital Pictures. He himself made the prediction in 1995 that it would take a decade for gaming to offer anything close to the realism offered by FMV. Certainly, today’s games have not only achieved that realism, but with the advent of online elements and the sheer power of modern consoles, they have all but passed it completely. Today, Zito no longer works within the gaming industry. He started a company called Garageband in 1999 that served as an outlet for indie bands to distribute their music, but he left within a year. An accomplished digital photographer, he now dedicates his time to his craft as well as working as the chairman and CEO of Integrated Media Measurement. Digital Pictures is no more, and the FMV revolution it advocated has since passed into history. Despite this, the almost twenty games it released in its short life have left quite the imprint on gaming, and they serve as an important stepping stone in the quest for true interactivity. Tom Zito declined to be interviewed for this article. Alphas: Maximum Surge. Next Generation magazine. October 1995. Danelectro. Vapor Trails 2.0. GamePro. 4 Feb. 2004. Digital Pictures Project: Chapter 1 – By Way of Introduction. 2D-Sprites.com. 30 July 2007. Fahs, Travis. The Lives and Deaths of the Interactive Movie. IGN. 3 March 2008. Grimes, William. When the Film Audience Controls the Plot. New York Times. 13 Jan. 1993. Herz, J.C. Rendering Refusenik. Wired magazine. Feb. 1996. 4.02. Horowitz, Ken. Interview with Rob Fulop. Sega-16. 4 Sept. 2007. Is This the End of FMV As We Know It? Next Generation magazine. October 1995. Kent, Steven L. The Ultimate History of Video Games. Three Rivers Press. 1st ed. 2001. Kohler, Chris. How Protests Against Games Cause Them to Sell More Copies. Wired. 30 Oct. 2007. Lachel, Cyril. On Running Feuds: The Case to Be Made for Night Trap. Defunct Games. 9 July 2003. Mckenna, Dave. Cheap Seats: Virtual Sucking. Washington City Paper. 1-7 Dec. 1995. Presley Noble, Barbara. At Work; Here’s a Switch — Keep the Job. New York Times. 20 Dec. 1992. Sheff, David. Game Over: Press Start to Continue. New York: Random House. 1993. Vinciguerra, Robert. Where Are They Now? Nolan Bushnell’s Axlon. Rev. Rob Times. 17 Jan. 2008. Wallis, Alistair. Playing Catch Up: Night Trap’s Rob Fulop. Gamasutra. 23 Nov. 2006. Nice article. I don’t know why, but I really enjoy all those bad FMV games. There’s one thing I don’t understand; it’s like wih Uwe Boll movies: why this guy was still making such horrible games, when the previous titles were so bad! I consider him mad or something.